This trip was centred around the delivery of the Space Shuttle Discovery to the Smithsonian Museuem in Washington. Something i had yet to photograph, 2012 was to see the final Shuttle delivery flights, on the back of the NASA B747SCA, with three flights planned as the remaining Shuttles were allocated to different museums around the country. Following the three days in the Washington area, including Baltimore, it was South to Barksdale, for three days at the main B-52 base, leading up to the airshow there. Then following a week in the UK, it was back to the States for two more major airshows, at the J-Stars base at Robins and the Marines base at Cherry Point, with other time spent around the Atlanta area. Starting at Bahrain, first flight was BA124 to Heathrow, operated by B777-200 G-VIIY, off at 0145L and landing 6.15 hours later at 0600L. The four hour lay-over gave a chance for a few shots at T5, with the first recently unveiled BA Olympics ‘Dove’ scheme, on A319 G-EUOH, being a good start to the trip, worked in great weather. Certainly an ‘interesting’ scheme, sparking a debate over its relevance to the Olympics. The connection onto Washington Dulles was on BA217, operated by B747-400 G-CIVU, off at 1030 and landing 7.40 hours later at 1310L, in glorious weather. After collecting the rental car it was straight off to the Smithsonian, noticing a good photo spot around some of the FBO/hangars, which I would return to later. 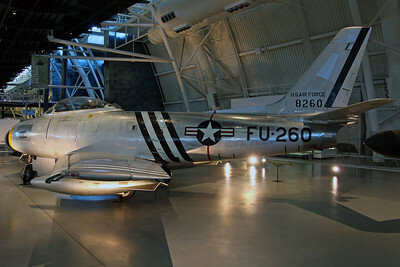 First up though was the amazing National Air & Space Museum, which understandably is considered the best aviation museum in the world, having so many legendary aircraft. The NASM at Dulles is situated in the Steven F Udvar-Hazy complex, on the Southern perimeter, with the car park there also being one of the best photo spots at the airport, for landing shots onto runway 1R (in the afternoon, when in use… we landed the opposite way on 19L). As the exhibits here are so well known and probably deserve a full article to themselves, I won’t go into too much detail, except to mention a few highlights. 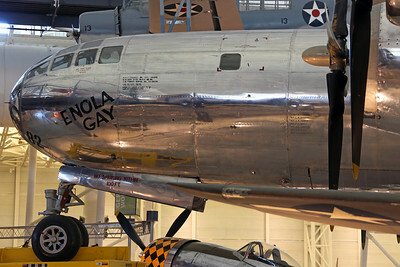 On display is probably the most (in)famous aircraft in history… B-29 44-86292 ‘Enola Gay’, which of course dropped the first atomic bomb (‘Little Boy’) on Hiroshima on 6th August 1945. 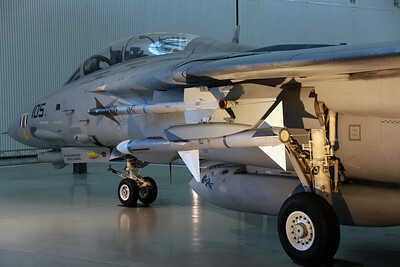 Named after the pilots mother, the now fully restored aircraft has had it’s controversies here, as shortly after going on display in 1995, protesters were arrested after throwing red paint, ash and human blood over the aircraft. As a result, it is now under video surveillance, while being raised out of reach on scissor jacks, and having protective screening in front of the aircraft where it is close to one of the overhead walkways. Also, another issue has been the signage for the display, which was criticized after focusing only on the victims, rather than the peace that was created with the bomb’s role in ending the war with Japan. 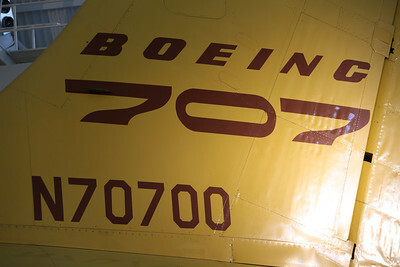 As a result, the signage now only mentions the technical data on the aircraft. 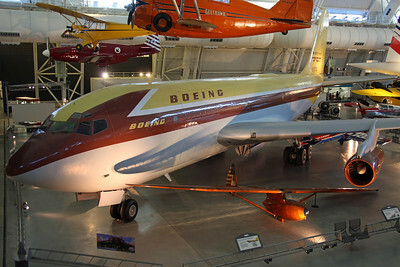 Another aviation legend, and personal ‘ultimate classic’ here is the prototype Boeing 707 (or 367-80) N70700. Following the full restoration by Boeing, the ‘Dash 80’ arrived here on it’s final flight on 27th August 2003. It will bug me forever that I never caught it flying! Close by is another priceless Boeing classic… the only complete surviving Boeing 307B Stratoliner, NC19903 ‘Clipper Flying Cloud’ of Pan American Airways System. One of only ten ever built (three for Pan Am) and delivered in 1940, it was the first pressurized commercial airliner, featuring the wings, tail and engines of the B-17C, and could carry 33 passengers at 20,000ft. Fully restored to flying condition in Seattle in 2001, it then ditched into Elliot Bay there, after running out of fuel. Then following another restoration in 2002, arrived here in August 2003. Among the other classic commercial aircraft here, is Air France Concorde F-BVFA. This first Concorde for Air France was retired in May 2003, after operating their first commercial supersonic service in January 1976, to Dakar and Rio. The signage for the aircraft mentions the fact that Air France had never made a success and profit with Concorde (whereas BA did), and then retired their aircraft first, with subsequent collusion and withdrawl of maintenance support from Airbus, forcing BA to retire their successful aircraft, as the French couldn’t bear to see… OK, I’ll stop there! Finally, certainly not as glamorous, but another important aircraft here to mention, is the first aircraft operated by Federal Express… Falcon 20DC N8FE ‘Wendy’. Named after the daughter of founder Fred Smith, they started operations with the aircraft in April 1973, and purchased 33 of the type. 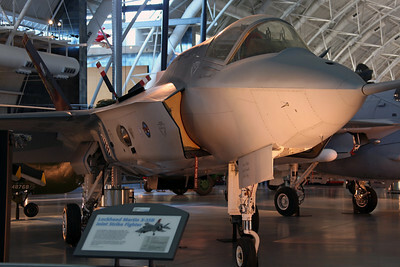 Of the more recent military aircraft here, it’s strange to see the JSF in a museum, long before it (hopefully!) enters service. Lockheed X-35B 301 was the prototype, and declared the winner over the Boeing X-32 in 2001. Maybe fifteen years later it will be in service?! 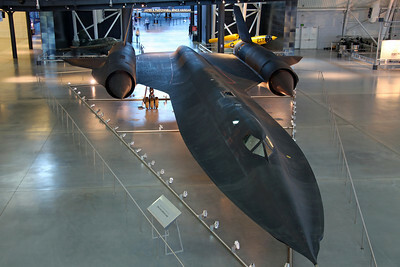 Also, getting onto the really fast stuff, is SR-71A 61-7972, which has a Skunkworks badge on the fin. These things used to set records for fun, with this one the altitude record of over 85,000ft in 1976, and finally, the transcontinental speed record (doing 1 Squillion mph or something) when arriving here in March 1990. And so, after a good three hours in the NASM, it was time to step back into 2012, with the rest of the afternoon spent by the photo spot I had noticed earlier, by a couple of FBO’s. This was a good spot to shoot the busy ramps with frequent biz-jet movements, aswell as a runway being used for a few arrivals and departures. First thing seen here, and thankfully parked in a good position for shots, were a pair of NASA T-38N’s N955NA & N967NA, which were here prior to tomorrows events. Aswell a good amount of US biz, which included an always welcome Westwind 1124 N36SF, there was also German Falcon 900 D-AZEM. The big day had arrived, and the quiet before the storm, with an early start to get into the NASM car park as the queues of cars were already backing up prior to opening at 8am. A wise descision by those to get in early, with the predictable jams later when the car park became full, as nearby roads became blocked and closed by police. The big event then… NASA B747SCA (Shuttle Carrier Aircraft) N905NA carrying Space Shuttle Discovery (OV-103) were due at around 10am, with Discovery to become part of the NASM, following her retirement in 2011 at the end of the Shuttle program. 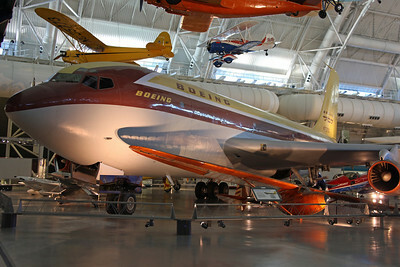 Following the attempts by quite a few organisations to attain a retired Shuttle for display, not suprisingly the NASM were granted Discovery, being the most historic and famous of the remaining Shuttles, which would be taking the place of Enterprise in the museum. Following de-mating from the B747SCA, there was a big ceremony planned for the 19th, when Discovery & Enterprise would be placed nose to nose outside the NASM, with many famous astronauts etc in attendance. 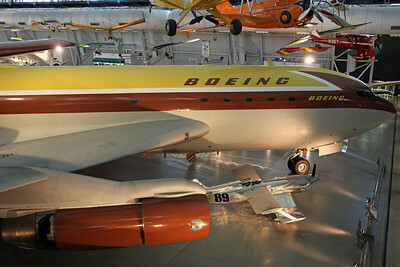 Discovery would then be rolled into her new home, with Enterprise then loaded onto the same B747SCA for her journey to New York JFK, and onward to the USS Intrepid museum. Of the other two remaining Shuttles, Atlantis (which flew the final Shuttle mission) will remain at KSC (Kennedy Space Centre) at a new display, while Endeavour will be flown to Los Angeles for eventual display at the CSC (California Science Center). This last chance to see a Shuttle in the air, carried by the NASA B747SCA, is planned for 20-21 September, with no doubt huge crowds expected at LAX for the landing.The very controversial allocation of the Shuttles, seemed to be based on the number of potential future visitors/tourists to each location, rather than the connection with the Shuttle program. New York obviously gets a lot of tourists, although an aircraft carrier museum there seems an odd place for Enterprise (not to mention the negative press they have received with their treatment of the BA Concorde there), so attracted criticizm. 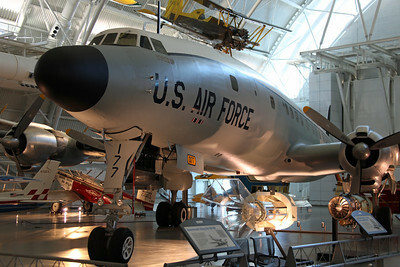 The LA museum is not exactly seen as a famous site, though in choosing a West Coast location, the benefit of public access there is obviously easier than having Endeavour on display at either Edwards AFB or Palmdale, both of which have a huge connection with the program. 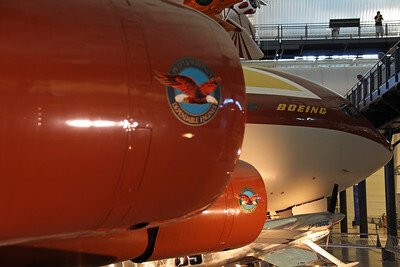 So, the two biggest losers in the process were seen as Houston, who will just get the full size replica ‘Explorer’ from KSC (with their Shuttle Trainer going to Seattle), while the National Museum of the USAF at Wright-Patterson will get nothing (after the USAF’s major involvment with the program). Back at the NASM, with the time approaching and the crowds getting bigger, the location at the car park was not actualy ideal, facing the sun. So, after some tactfull words with the police in attendance, I was given permission (after quoting my media access) to walk under the approach and shoot the landing from the East side, standing just off the highway slip lane (which was closed off). This great elevated spot, from where the touchdown would be visible, was also attracted by around ten other photographers/media. In the end though, the crowds gathering on the opposite side of the highway, were getting so big that the police relented and let them all through! Our ‘exclusive’ spot was then over-run by around a thousand people in the end, with all attempts to keep them behind the ‘media line’ giving way to chaos! To be honest though, it didn’t really spoil the shots and the atmosphere was ‘electric’. After catching the final launch of Discovery on mission STS-133 in February 2011, i can only compare that and now this experience, to maybe the final Concorde flights at Heathrow back in October 2003, with the thousands of people present around runway 27R on that famous day. I’ve never seen such enthusiasm (and emotion) when it comes to aircraft! For proud Americans, this is their ‘Concorde moment’… a last chance to see a loved classic, shamefully retired early, the like of it never to be seen again. With the (loss of) national pride added to the mix of emotions, knowing of the need to now rely on the Russians (of all people) to get astronauts up to the ISS, we have the ‘blame game’. Can’t put it on the French this time, nor Obama as some would like to… sorry Mr Bush, this is your doing! And so, after the on-time departure from KSC at 0655, ‘Pluto 95’ came into view for the first low pass at Dulles, on runway 1R as expected. Accompanied by T-38 chase plane N967NA ‘Pluto 98’, which had launched earlier (along with N955NA ‘Pluto 99’), the formation then headed off for low passes at various points around Washington, including along the Mall to the White House. After around 40 minutes, they returned for a second low pass, followed by a wide circuit and landing. Wow! Certainly plenty of chances for some great shots, though only later did I realise ‘what happened to the DC-9'?! N932NA ‘Weightless Wonder VI’ (or ‘Vomit Comet’) was the lead aircraft (‘Pathfinder’) for the flight, but had sneaked in on another runway (1L probably) unnoticed! Can’t complain though! As for N905NA, this is now the only NASA B747SCA, following the retirement of N911NA in February of this year, which went to Palmdale to be used for parts to keep the two remaining NASA B747’s airworthy: N905NA and B747SP N747NA ‘SOFIA’ (Stratospheric Observatory for Infrared Astronomy). A nice touch, just before the Discovery ferry flight, was the application of ‘mission marks’ next to the forward crew doors, showing how many ferry flights for each Shuttle (including the 5 ‘Free Flights’ with Enterprise), aswell as the names of the crew for this Dulles flight. Of course, N905NA is one of the oldest B747’s still flying, being the 86th -100 series built almost 42 years ago (the oldest is the 5th built, still used by the Iranian AF!). And so, after the landing, my intention was to shoot off straight away, after deciding not to stay in Washington for the ceremony and Enterprise’s departure (which was then weather delayed anyway). After ‘fighting’ my way out, the plan was to head straight to Baltimore BWI (just over 50 miles to the NE) for the rest of the day, chasing more classics at BWI and the surrounding area. My main reason for visiting BWI is the Northrop Grumman Electronic Systems test facility (previously Westinghouse) based here. The company undertakes major work on various radar and other systems, with current work centred on the AESA fire control radar for the F-35 (the AN/APG-81). Test aircraft involved here include the ‘largest’ operational fleet of BAC1-11’s now… two aircraft! N162W and N164W will continue to be used on F-35 and other work for a few more years yet, following the retirement of N161NG, which was flown to Mojave in January this year. 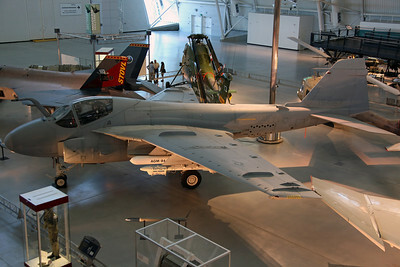 These aircraft have been heavily modified over the years, with different nose cones and radar fairings, and are operated along with other aircraft here, including a bare metal Sabre 40 with an F-16 nose cone (which is also used as a chase plane). The current status of the B737 testbeds here is not confirmed, though there were certainly one or two operating quite recently.Aswell as these classics, BWI is also well known as having a nice observation area, just over the perimeter road, which is perfect for shots of aircraft landing on runway 33L. This is the main (mostly used) landing runway, and ideal for shots in the afternoon when the sun gets around. Aswell as the usual major carriers, Southwest and Air Tran are very busy here, providing a bit more interest, with the special schemes and knowing Air Tran will be gone soon, with their B737’s merged into Southwest and the B717’s likely sold (to Delta?). Special schemes seen today included B717 N949AT ‘Orlando Magic’ and B737’s N647SW ‘Triple Crown’ (a -300 with blended winglets, dedicated to the employees for winning 3 awards over 5 consecutive years) & N214WN ‘Maryland One’ (suitably arriving at her home state). BWI is also quite busy with cargo flights and biz-jet movements, aswell as US military charters operated by North American and World Airways etc. One such aircraft, still present here, wfu (but could have been worse) is ex World DC-10 N139WA. This was involved in a nasty incident three years ago, when arriving on a US military charter from Ramstein with more than 150 service members on board, suffered a very hard landing. This resulted in damage to the undercarriage aswell as structural damage to the fuselage, with the aircraft later declared a w/o. After being stripped of useful parts, it is still present in ex ATA colours with the World titles and tail logo painted out. 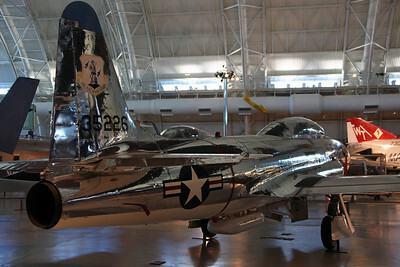 As for the Northrop test flights… well, that’s down to luck if any will be seen. I had planned in two full afternoons here, but as always ‘you win some, you lose some’ as they remained elusive. It’s difficult to say how often they fly, but a guess would be only once or twice a week. I'll be back! The first day of bad weather, which started off overcast and produced a downpour in the afternoon. Todays plan was to head straight to Baltimore-Martin State Airport (to the North East), followed by a long drive NW up to Hagerstown, with the afternoon back at BWI, before a flight out later. Due to more time than expected spent at Martin (plus the dodgy weather), i decided to give Hagerstown a miss in the end. This is the site of the old Fairchild factory, with a small museum having a Fairchild C-82A Packet & C-119G Boxcar. 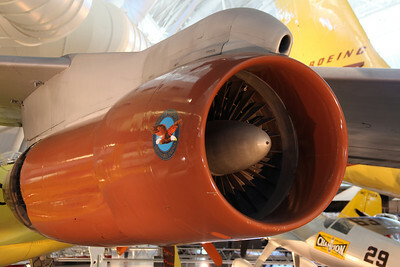 In addition there are a couple of retired B727’s and a Dak among other things, so is well worth a visit… another time. Martin State Airport then, is the site of the old Martin factory, and now home to the Maryland Aviation Museum, which displays everything to do with the Martin Aircraft company. This includes my main reason to visit, a rare fully intact Martin 404, N259S preserved in Systems International Airways colours. This sits alongside a handfull of other aircraft, not in great condition, including a couple of Martin-built RB-57A Canberra’s, and are only accessible via arrangement with the museum, being located airside. Elsewhere, the friendly FBO/Operations building area is a great location to shoot from (after asking, as there is no fence! ), with a few GA & biz-jets present. Highlight was the unusual Twin Otter N94AR, which arrived and departed. 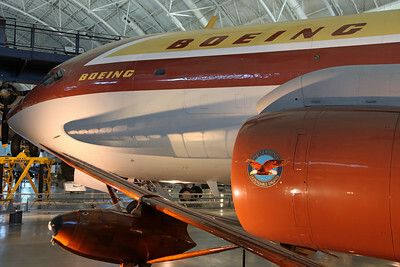 This is a VistaLiner conversion (with large windows), previously operated by Scenic Airlines for Canyon flights, but now has a large pod/sensor hanging below the nose, with ‘Airborne Research’ and ‘Experimental’ markings. Interesting. In addition, the airport also hosts the Maryland ANG on the Northern side of the runway. The 175th Wing operates the A-10C, with seven noted under the shelters, aswell as the C-27J (two noted). 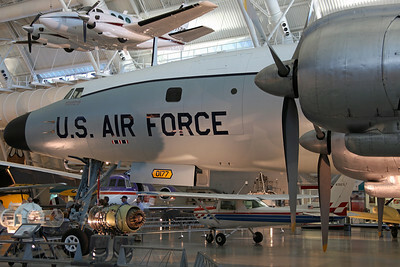 The latter have recently replaced the C-130J here (which was the first unit to operate the type). A request to photograph these aircraft at the base gate was declined. And so, from here it was straight back to BWI, with most of the afternoon spent chatting with a local photographer, with the camera kept out of the rain and no smokey 1-11’s on approach! Then, after returning the rental car, it was onto DL1525 to Atlanta, operated by MD-88 N967DL, departing at 1910 for the 1.30 hours flight, landing at 2040. After a quick connection, it was then onto DL5345 to Shreveport, operated by a CRJ-200, departing at 2215 for the 1.30 hours flight, landing at 2245L. Then, after collecting the rental car, it was a short drive to the hotel in Bossier City, located about half a mile outside the main gate at Barksdale AFB… home of the Buff. Barksdale is of course the main USAF B-52 base (along with a resident A-10 squadron), with this first visit in 2012 being a special year for the Buff, with the 60th anniversary of the first flight (15th April) and 50 years since the last aircraft was made (22nd June). Not surprisingly, the base has a lot of ‘clout’ within the USAF, so usualy puts on a high quality airshow, with many quality aircraft… especially the ‘heavy stuff’! Arriving here a few days before the show, to catch the arrivals and hopefully plenty of Buffs in the circuit, todays weather was great (not a cloud in the sky all day). With landings from the North, the petrol station right outside the main gate is a good photospot for aircraft on finals in the morning. As good as it was, i wished I was down at the take off end, as after a couple of hours, around ten B-52’s and a pair of A-10’s had taken off! What a sight and sound… but no shots! Apparently, the South East area around the base is a military zone and all out of bounds to the public, so good departure shots in the morning are not possible anyway. Shame. Also, guessing the kind of mission that Buffs usually operate, non of these would probably be back anytime soon! However, for some reason a single B-52 then departed the other way (wind was fairly still), which turned out to be the rare test aircraft 60-0031/OT of the 49TES/53Wg. A great start after all, and quickly followed by the first inbounds… the pair of based A-10’s had returned, and were joined in the circuit by a pair of smokey classics! Not one, but two Phantoms from the 82ATRS/53WEG at Tyndall in Florida, inbound for the airshow. 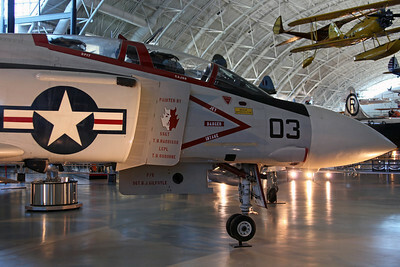 This is the last USAF unit to operate the F-4, in the aerial target role, and had sent QF-4E's 74-0643 & 74-1638 for the show. Next up was some heavy metal, with C-17A 90-0535 from the AFRC at Wright-Patterson, followed by TC-135S 62-4133/OF, the Cobra Ball trainer from the 55Wg at Offutt, painted with the mat black right wing and engine nacelles (as on the real Cobra Ball’s). Three of the earlier departed Buffs then returned, with the OT test aircraft, followed by 61-0012/LA and 61-0020/LA (‘20BS Buccaneers’) with ‘The Big Stick’ nose art, featuring a caveman. With the sun straight down the runway around mid-day, i then decided to visit the Eighth Air Force Museum, located on the West side of the airfield, to get that done while the weather was good. 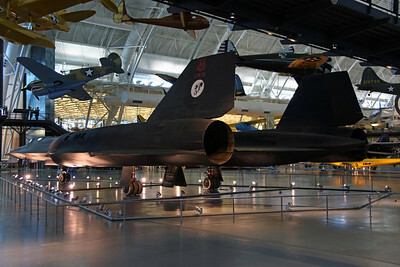 Around 30 aircraft are displayed here, all outside, including an SR-71 and RAF Vulcan. From here, some of the B-52 hangars and active flightline are very close, with 60-0016/LA also present, which appears to be WFU in a very faded light grey colour, though is reported as still active? While at the museum, a couple more Buffs returned, while the Thunderbirds F-16’s arrived, and carried out their familiarization practice before landing. So from here it was back to the landing end for the rest of the day, with a spot found on the West side of the final approach for landing shots. Aswell as the arrival and practice by the Black Diamond Jet Team of 4 L-39’s and a Mig-17F, and a demo flight by two-seater Thunderbird 7, another two Buffs returned, with 61-0036/LA & 61-0016/LA hitting the circuit before the end of the day. Day 2 at Barksdale and a change in the weather, with only a few breaks in the cloud and some thunderstorms later. Also, it seems the Buffs had their final flying day (until after the airshow) yesterday, as none flew today, with just more airshow arrivals inbound. These started with C-5B 86-0018 from the AFRC at Westover, followed by Dyess B-1B 85-0090/DY, L-29 N199DM (in a blue & white camo scheme), N66671 Cessna T-50 (UC-78B from 1943, painted as US Army 43-32549), Randy Ball in his Mig-17F (LIM-5) N217SH/1611, Vance T-38C 68-8171/VN, WC-130H 65-0980 with no unit marks (converted back for cargo use, operated by the 105AS at Nashville), US Navy F/A-18F 166639/AJ-213 of VFA-213 ‘Blacklions’ and EC-130H 73-1588/DM from Davis Monthan. Then some serious smoke on approach, but not a Buff… a ‘real’ B707... J-Stars E-8C 97-0200/GA from Robins, followed by B-17G N900RW/44-87518 from the Lone Star Flight Museum at Galveston, Texas (painted as 42-38050/BN-U ‘Thunder Bird’), Little Rock C-130J-30 07-46311 ‘The Rock’, KC-135R 63-8024 from the AFRC at March, WC-130J 96-5300 ‘Hurricane Hunters’ from the AFRC at Keesler (named ‘Spirit of Gulfport’, which suitably arrived during a lightning storm!) and B-25J N25YR/43-27868/8U ‘Yellow Rose’ from the CAF at Harlingen, Texas. ‘Defenders Of Liberty’ Airshow, with a plan to get in as early as possible, get all the shots and get out, to catch some of the flying display from outside the perimeter. My flight out of Shreveport and onto the UK was around tea time, so obviously didn’t want to get stuck in any airshow traffic. The quick, early entrance into the show went well, wih a surprise being the public parking right in front of a main B-52 flightline, with a lot of the operational aircraft lined up, perfect for a shot! In addition, there were further flightlines close enough to the static area, at the Southern end. Buff heaven! 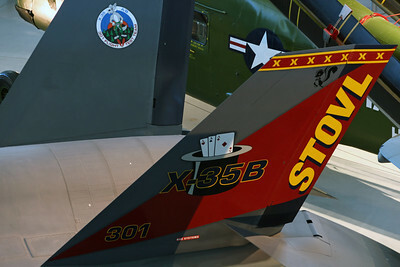 Two further B-52’s were present in the static, with 60-0001/LA having ‘Memphis Belle IV’ nose art, fully loaded with external stores, and 61-0008/BD of the AFRC, with ‘11 Sep 01 FDNY We Remember’ nose art. Of the other static, not already mentioned as arriving, the highlight had to be B-2A 88-0331/WM of 393BS 'Tigers' named ‘Spirit of North Carolina’ (with subtle tiger marks and ‘Invisible Defenders’ unit logo on the MLG doors)… when did that sneak in?! From the same unit at Whiteman was T-38A 66-8402/WM ‘509th Follow Us’, while a 'warbird' of similar vintage was Jet Provost T4 N204JP (ex XR701). Also, two new choppers present were US Army UH-72A Lakota 07-72015 from nearby Fort Polk, in a nice ‘wrap around’ camo scheme, and even newer AW139M demonstrator N212YS. After getting out of the show and parking back at the same photospot for landing shots, it wasn’t long before the flying display commenced… and what a way, as a local B-52 was heading down the approach in formation with a B-2A! 82-1066/WM ‘Spirit of America’ then split off and carried out a few solo passes, before heading off without landing. 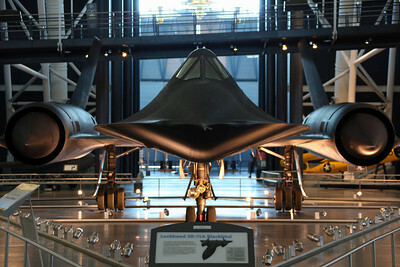 This was infact the first B-2 built and first flown (on 17/7/89), used as a test aircraft until being WFU in 1993. After modification to operational standard, it was later delivered to Whiteman in July 2000. Barksdale certainly lived up to expectations with all those classic Buffs being an awesome sight and sound. Obviously, the airshow is the time to go, and I’ll certainly be back. How many shows feature so many bombers? Not just all those B-52’s, but a B-1B, TWO B-2A’s, a B-17 and B-25 (B-29 ‘Fifi’ was also due, but didn’t make it for some reason). At the moment, the Barksdale show remains yearly (with other shows going to only once every very two years), with next years’ on the same weekend as the Langley show. Sounds like a plan! So heading off and arriving at Shreveport in plenty of time, after the 20 minute drive, I had chance to have a look around this small regional airport, with a couple of biz-jets and FedEx ATR-72 N807FX being photographed, before returning the rental and checking in for Heathrow. First flight was AA2933 to Dallas DFW, operated by an ERJ-145LR, departing at 1740 for the short flight, landing 35 minutes later at 1815. Connection was then onto AA078 to Heathrow, operated by B777-200 N792AN, off at 2000 and landing 8.15 hours later at 1015L. 61-7972 SR-71A USAF. With the Skunk Works logo on the fin, after being the Palmdale test aircraft, until retired and flown here on 6/3/90. 301 F-35B (PAV-1) Lockheed Martin. Prototype X-35A first flown on 24/10/00, before conversion to X-35B and first flown on 23/6/01. 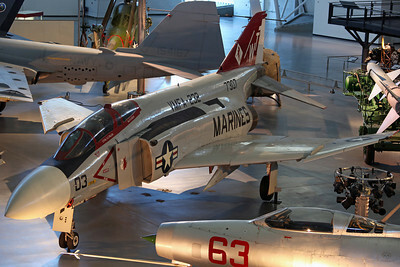 157307/WT-03 F-4S USMC VMFA-232 'Red Devils'. With a Mig-Kill mark, from when a US Navy F-4J, shooting down a Mig-21 over Vietnam 6/72. 159610/NK-105 F-14D(R) US Navy VF-31 'Tomcatters'. Shot down a Libyan AF Mig-23 during the Gulf of Sidra incident in 1989. 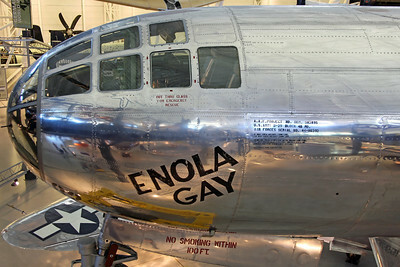 44-86292 B-29-45-MO USAAF 393CS/509CG 'Enola Gay'. 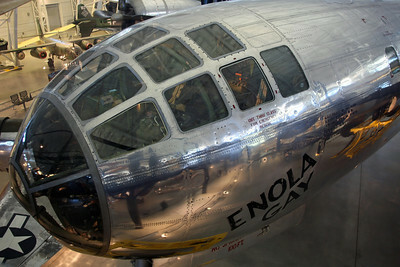 Dropped the first atomic bomb 'Little Boy' on Hiroshima on 6/8/45. Later converted to Silverplate Victor number 82, before storage and eventual full restoration and display here in 1995. N70700 B367-80(B) (17158) Boeing Aircraft Co. Prototype B707, first flown on 15/7/54, with final flight Seattle-Dulles on 27/8/03. N1104W/54-0177 C-121C (L-1049F) USAF 167MAS/167MAG WV ANG. Last operated by Classic Air, with final flight Van Nuys-Kansas City-Dulles on 21-22/2/88. Later restored and moved inside for display 11/07.